This birth / baby announcement suite features a crest encircling the initials of the baby. Beautiful, soft baby monogram with flowers and bird motif. Digitally printed on lux cotton stock in colors of your choice. 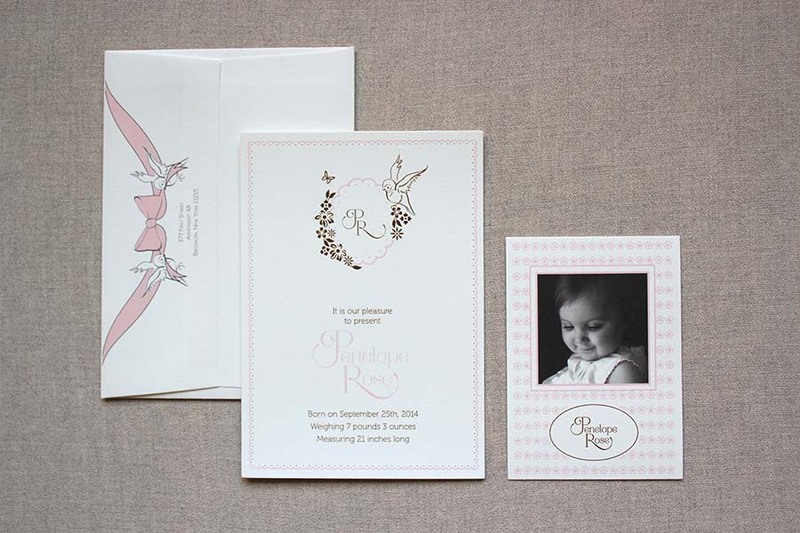 Matching envelope features birds, bow and custom printed return address. 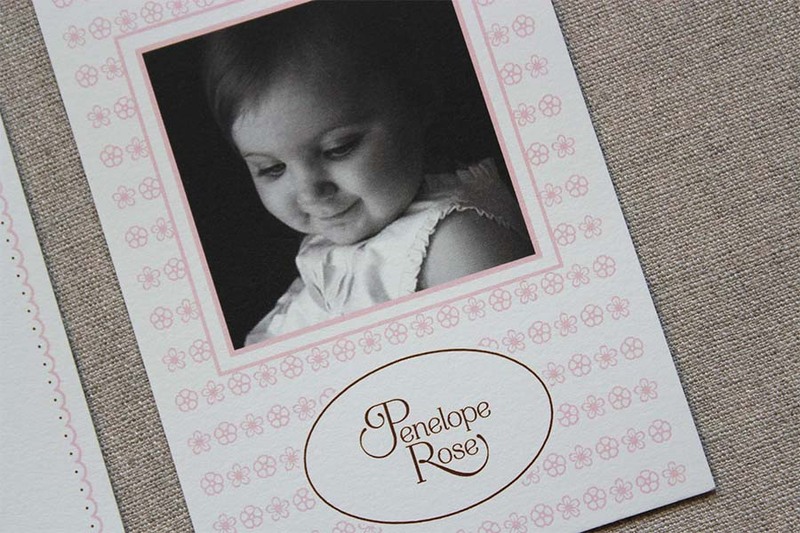 4Bar card features floral design, photo and name. Please send high resolution digital photos and Little Dove Design will place them into the design. 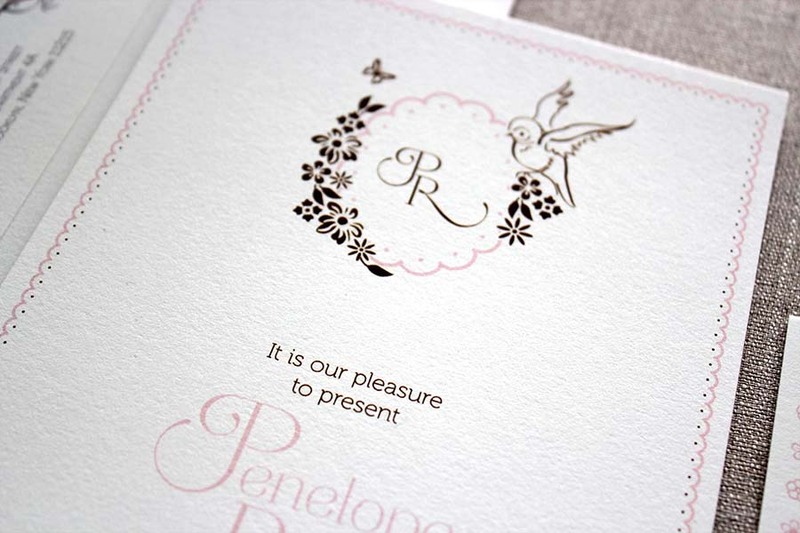 This design matches perfectly with our SWEET TWEET shower invitations. If you are interested in having this printed in letterpress, please inquire. Other quantities and paper choices are available. Please inquire for pricing. Delivery will take approximately 2-3 weeks after pdf approval.